The war for talent was coined in the late 1990s, and is recently seeing a resurgence. Today’s saturated business landscape combined with technological advancements have both fueled and added complexity to the competition between companies and leaders to attract and retain the best and brightest. The other side of the double-edged sword is a drastically improved economy since the Great Recession of 2008. Unemployment rates in the late 2000s and early 2010s neared about 10 percent, according to the US Bureau of Labor Statistics. As a result, little pressure was placed on increasing wages. But today, the unemployment rate is at one of its lowest points—just about 4 percent nationwide—according to the latest statistics from the bureau. Now, a competitive business landscape, advanced technology, and an improved economy have combined to rekindle a battle between companies across all industries for attracting talent. Perhaps no other industry is feeling that pressure for talent quite like healthcare. As the senior vice president and chief human resources officer of Quest Diagnostics Health & Wellness—a clinical laboratory with more than forty thousand employees that offers services for cancer, cardiovascular disease, infectious disease, and neurological disorders—McKenney takes on the annual goal of recruiting about ten thousand new employees every year. But McKenney doesn’t have to take on such an impressive feat alone. Her ally in the war for talent is Cielo’s CEO Sue Marks. Cielo is a leading strategic recruitment process outsourcing partner headquartered in Wisconsin. 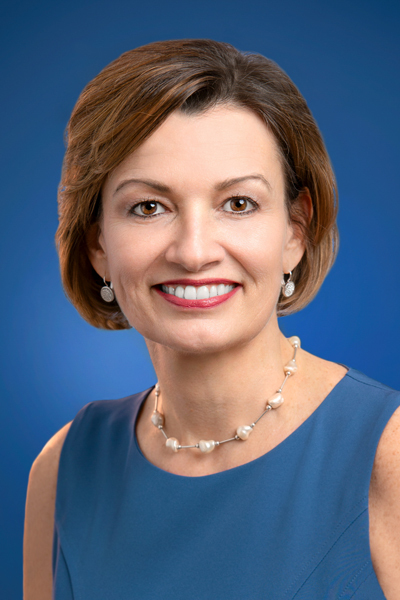 However, the relationship between McKenney and Marks started years earlier during McKenney’s tenure with PepsiCo. After PepsiCo spun off the Pepsi Bottling Group (PBG) in 1999, McKenney took over recruiting for PBG. Because of the large scale of PBG, McKenney says recruiting was a constant challenge. She and her team looked for a partner who could help them source and screen talent. They selected HRfirst, where she met Marks. Eighteen years later—with Marks now at Cielo and McKenney at Quest Diagnostics—the two are picking up where they left off in leading efforts for talent recruitment. Some organizations may be hesitant to outsource talent recruitment, but McKenney says outsourcing is often a misnomer. Instead, it should be viewed as a partnership with another company. When it comes to that retention, McKenney assesses the needs of a changing workforce, especially when it comes to generational differences. Today’s US workforce comprises about 35 percent of millennials, according to the Pew Research Center. One of the main challenges for McKenney is how to make the workforce more flexible, which millennials rate significantly high when it comes to criteria for a job search, she says. In fact, about 77 percent of millennials say flexible work hours would make the workplace more productive, according to a recent study from Bentley University. Now, McKenney is working with leadership on how to bring more flexibility into how Quest operates, such as allowing employees to have work from home options, flex time, and health days instead of sick days. She also points out the outstanding vacation and time-off benefits that Quest offers, which she has been told by employees have been deciding factors in choosing to stay with Quest if other offers from competitors come along. Additionally, McKenney stresses the importance of capturing the hearts and minds of high school and college graduates to help bring in new ideas and fill frontline jobs, as well as ensure that employees are enjoying the workplace experience through big and small initiatives. For example, McKenney says that while it’s vital to get the day-to-day right—benefits, pay, environment—it’s also important to meet the longer-term needs of individuals. McKenney and her team also put a strong emphasis on supporting employees in their first year. Across industries, turnover is often highest within the first six to eighteen months for new employees. McKenney says that the initiative will be deployed in late 2018 in partnership with Quest’s operations leaders and the Cielo team, all of whom have been instrumental in the strategic initiatives surrounding that war for talent. Contributing her time and efforts in giving back to others in the community is a “personal passion” for Cecilia McKenney. She is currently on the board of trustees for Catholic Charities of the Archdiocese, where she lends her expertise in HR to help the organization ensure that the agencies under the stewardship of Catholic Charities operate at the highest quality of levels. Additionally, McKenney and her family support a scholarship at Franklin & Marshall College that provides financial aid for students. They also support a local parochial school with a scholarship, and more than forty students have received scholarships from the fund that she and her husband run for the St. Patrick Catholic School in Bedford, New York.